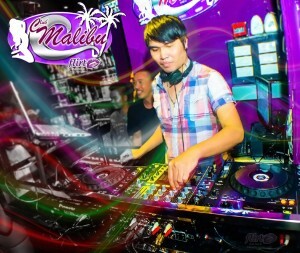 The newest and brightest Gogo bar to hit LK Metro – Club Malibu Agogo. Friday 15th August seen the doors of LK Metro’s newest and trendiest gogo open for business. Club Malibu agogo is the brain storm of the same team behind Champagne agogo and Kilkennys bar so these guys certainly know what they are doing. The club itself is adorned with a pink / purple lighting theme and is large and spacious although there wasn’t much room to move on this soft opening evening. The management are keeping the tried and tested draft beer special at 75baht Happy Hour 8pm til 10pm and some of the Champagne gogo shows have been moved too. Flirt Pattaya have been told that the music variation will be slightly different so as to give Club malibu it’s own unique feel and vibe and hopefully there will be some cracking partynights planned in the near future to really see what the club is all about. Flirt Pattaya wish Club Malibu all the success for the future and we will be visiting on a regular basis to see how the concept evolves.